Kyuss Lives offered an olive branch to Josh Homme as their reunion took shape, but the Queens Of The Stone Age man failed to reply, according to drummer Brant Bjork. Bjork told us that Josh was a hot topic of conversation as the band regrouped. He said: "When John (Garcia, vocals) first approached me and we sat down to discuss the ins and outs, my first topic of discussion was Josh. For any reunion it's always awesome to have the original members there. "I haven't been on a speaking basis with Josh in years, but John is. I knew it would be up to John to negotiate that situation. We discussed it and I said out of respect Josh had to at least be informed and given an opportunity to come play his part. But having said that, that's just me being a democratic dude. "But we never even got a response I don't think. I don't recall John ever saying he got a response. But we were already pretty confident and content to move forward with Bruno (Fevery, guitar). He's a super awesome person to be around and an awesome guitar player. He really goes a good job playing the Kyuss stuff. "The level of politics and managerial ins and outs and lawyers, we were looking a pretty intense level of bulls*** if we would have involved Josh. John and I just figured that if he really wants to do it he'll come do it and if he doesn't want to he wont come do it." 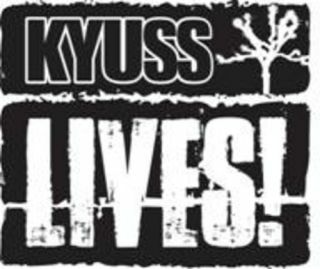 Kyuss Lives have a run of UK reunion shows lined up for April, kicking off in Wolverhampton on 1 April.